Liu San Dao can use three attacks at the same time against one player. If this is not escaped, it causes as much damage as the target's blood limit. All three attacks are focused into one attack. The target needs but one Escape to avoid the onslaught. 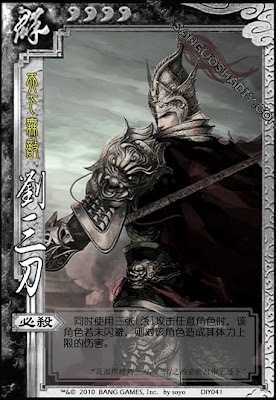 This counts as Liu San Dao's attack for the turn.